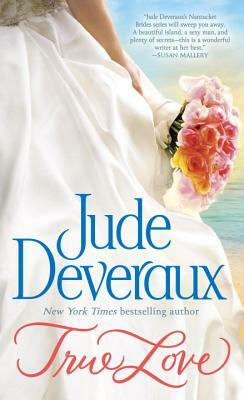 Jude Deveraux, the "New York Times" bestselling author of unforgettable romance, returns with a breathtaking first book in a fantastic new series--the Nantucket Brides trilogy. Set on the magical Massachusetts island, "True Love" introduces characters from a new generation of Montgomery-Taggerts, the beloved family from Deveraux's classic novels. I loved this story so much that I could not put it down. This is the first book of the Nantucket trilogy. . Finding their lives inextricably entwined with the turbulent fortunes of their ancestors, Alix and Jared discover that only by righting the wrongs of the past can they hope to be together. I can't wait to see what happens with Toby & Lexie (Alix's bridesmaids).